"A unicorn walks into a bar...."
Look, I’m a bartender. I have nothing to do with the xenos. I don’t care if it’s an elf or a vampire - as long as they don’t bother me, I steer clear. I have my reasons - you can see them in the scars on my neck. I never wanted to get involved. But my life changed for the second time when I saved the life of a unicorn. I made an enemy of something old - old and evil, and whatever it was, it’ll be back for another try. I also made a friend when I decided to help March. He’s only been a human man for a day. I’m responsible for him now. He’s my friend...and maybe something more. Maybe a lot more. It doesn’t matter to me that he isn’t magical anymore. I don’t care if he’s not Pure. 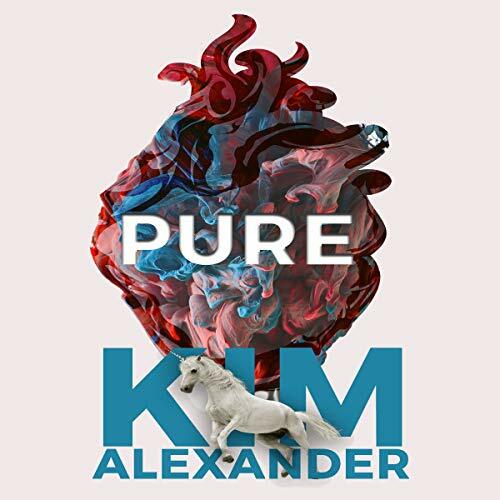 From best-selling author Kim Alexander comes a modern fairy tale of magic, love, and redemption. I had never before read or listened to any book by Kim Alexander, but I immediately found that I was in for a treat. I love this story! It rivals the best urban fantasy books that I have ever read. I plan on listening to this audiobook again in the future because it was so entertaining, and I can’t wait for the next one in the series. This short (2.25 hours) audiobook is the first installment in the “New World Magic” urban fantasy series. It is set in an alternate version of our modern world in which “Xenos” (paranormal beings) made themselves known to humans about 8 years ago and mostly live peacefully together. It was so refreshing in an urban fantasy to have as a heroine a human woman without any psychic or magical abilities. Ruby just has her wits, courage, and garlic hot pepper spray. She is pragmatic, warm-hearted, and sometimes vulnerable. The story is told from Ruby’s first person perspective, but she thankfully does not sound egotistical at all. March, a guy who used to be a unicorn, exudes the right combination of naivety and otherworldliness. All of the characters are distinctive and vibrant. There is a romantic element to this story, but it is still an urban fantasy in format. The dialogue was marvelous, funny, and witty. FYI, in there is some bad language, a few moderately graphic bedroom scenes, and a little bit of bloody violence. I think that there was the right amount of all three of these things, not overdoing anything. The author Kim Alexander was also the narrator, and she did a perfect job! I am very impressed. She is as excellent at narrating her own book as Neil Gaiman and Bryan Cranston. Kim Alexander brings the story to life with vigor, humor, and great pacing. Her voice is very pleasant. She is awesome at both male and female voices. She talks rather fast, but she enunciates very well so that every word is intelligible. She is equally adept at evoking the different flavors of action, introspective, or romantic scenes. I can’t wait to listen to her narrate future audiobooks!